Village Market Floral is a full-service florist with professional designers that can help you with anything from do-it-yourself to large events. After a successful 45 year career in the floral industry and 17 years serving this area, Kae Nilsson of Floral Consultants is looking toward retirement. With a passing of the torch, T.A. 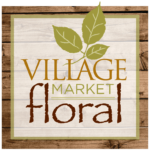 Solberg Co. is proud to announce the opening of Village Market Floral. Kae is excited to join the team at Village Market Floral until she is ready for full retirement. Village Market Floral and Kae are looking forward to combining talents to serve customers into the future. You can continue to enjoy and shop the floral specialities online – anytime!